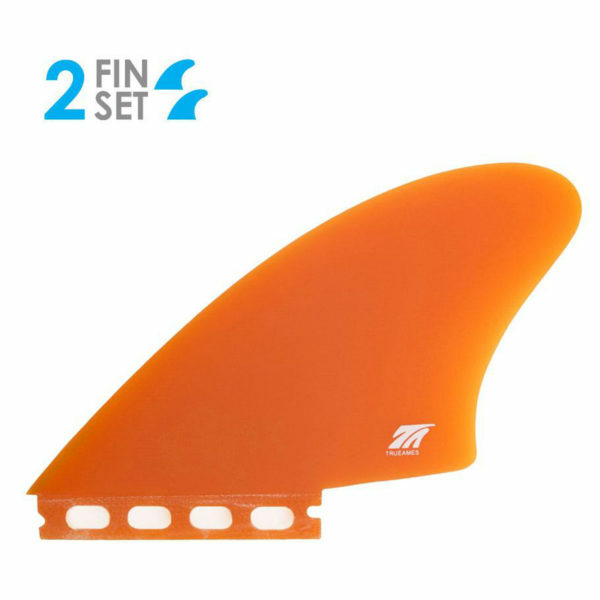 ( Twin-Fin Set ) Futures Compatible, Flat Inside Foil: This early 70’s era design is our most popular keel fin set, and has become an industry standard that is meant to be paired with fish surfboards. Designed at Hobie, this set is a true classic that pays homage to the early days of San Diego style twin fins. The Hobie Fish fins are a favorite among a lot of the surfers and shapers we work with because of the timeless curves and inherent fluidity they provide. If you’re looking for drive off the bottom and smooth drawn out turns for your fish, then look no further. Currently only available in Orange. Your Fin Setup; What’s best?